Sony's PlayStation 3 has finally become a profitable machine for the company, for the first time since the console launched back in 2006. The PS3 is no longer costing Sony each time they sell a new console, due to the latest versions of the hardware costing considerably less to produce, added to the boost in sales over the past twelve months following the launch of the PS3 Slim late last year. 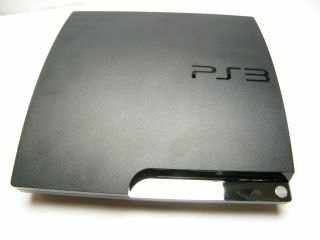 "This year is the first time that we are able to cover the cost of the PlayStation 3", Sony Computer Entertainment Worldwide Studios boss Shuhei Yoshida told IGN. "We aren't making huge money from hardware, but we aren't bleeding like we used to." Yoshida stressed that there were currently no plans within Sony to further cut the price of the PlayStation 3 and that consumers should get used to a $299 PS3 for now. The company is currently looking at replenishing retail stock as opposed to slashing the price to move even more units. "When we bring the cost of hardware down, we are looking at opportunities to adjust prices if we believe that will increase demand," Yoshida explained. "At the moment, we are trying to catch up our production." "We have lots of great games coming out and innovations with Move and 3DTV, so we don't believe this is the time for us to think about a price drop," he added.